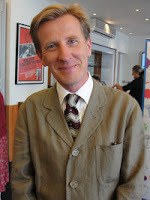 Today I am very pleased to welcome Philip Reeve to my blog for an interview. He is the author of many series, including the Mortal Engines Quartet, the Larklight Trilogy, and the Fever Crumb Series. I've been writing stories since I was five or six, and I enjoyed working on quite long 'novels' all through my childhood, but I bever really imagined anyone would pay me to publish them, and I didn't seriously consider submitting anything to publishers until I came up with the story which became Mortal Engines, when I was in my mid to late twenties. 2. Who is your favorite author? Why? It's a strange idea, having a favourite author. How could I choose between Tolstoy and Tove Jansson? PG Wodehouse and Patrick O'Brian? They're all doing such different things. Luckily, of course, I don't have to choose! I can have loads of favourite authors, and get something different from each of them. That said, Geraldine McCaughrean is the contemporary author I most admire; she has the ability to write enormously exciting adventures which keep you turning the pages, while at the same time using the most extraordinarily vivid and original language. She's great. 3. In all your books, who are some of the most interesting characters you have written about? Hester in the Mortal Engines series, Fever in the Fever Crumb series and Gwyna in Here Lies Arthur. All heroines, and all rather unlikely ones, which I hope makes them more interesting. I'm forever reading books where the hero or heroine is brave, good-looking, determined, loyal and so forth, and that's fine and I know readers like it, but for some reason I always end up writing about people who are a bit flawed, or a bit fatalistic - they get swept along by events and sometimes they're afraid or just can't be bothered to try to influence them, which I think is how most of us are in real life. Also, I seem to always end up with a girl at the heart of my books: maybe it puts a sort of distance between me and the character. I'm consciously trying to write more boys at the moment, just to make a change. 4. Do you follow any sort of ‘schedule’ with your writing? I aim to work a nine-to-five, but of course other stuff intervenes. Sometimes I run out of ideas and just go for a walk instead. At others I find myself writing away well into the evening, or jotting down ideas in the middle of the night. 5. On average, how much time do you spend plotting a story before you sit down to write? I don't really plot in any formal way. The best bit of making a story is finding out what happens next, and if I already had it all planned I don't think I'd have the discipline to sit down and start writing. I usually start off with a few key images in mind, and I start writing and see who the characters are and where it goes. Often when I have a few chapters written I'll set it aside for a while and do something else, then come back to it later and start working seriously on it. Of course at that stage the existing chapters often get destroyed, or completely re-written. 6. What projects are you working on currently? I have a tongue-in-cheek fantasy novel called Goblins publishing next April - I hope it will appeal to fans of my existing work but maybe to slightly younger readers too. Then there's the fourth Fever Crumb book, which will wrap up that series and which I think is going to be a long one. And I have a project I've been thinking about for years, a historical novel set in America around 1910, so that needs a lot of research. Just write, really. And finish things. However beautiful your writing is, and however clever your ideas, it doesn't count for much if you've only got the first half. 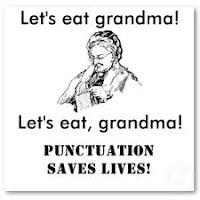 So finish a story, and then do another and another. A huge thanks again to Mr. Reeve for agreeing to do this interview! 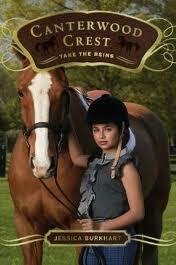 When I started Take The Reins, I wasn’t really sure what I was going to think of it. I had not read any middle grade books for a while and was worried that I wouldn’t enjoy it. At first the writing was a bit hard to get used to, especially since I had just finished Into the Wild, which is a fantastic read, but vocabulary and writing is so much more adult it was difficult to get into the flow at first. Once I did though, it was a very fast cute read. I really liked how Sasha’s character unfolds throughout the book. She is a very likeable character with her own quirks and habits, who is kind and goes with her gut. She isn’t a Mary Sue though, she does make mistakes, but I thought the way she deals with them is very believable. I really liked how well the minor characters were developed too. Even ones that did not necessarily need to be all that developed seemed to have their own personality, which was awesome. I thought the book was very well paced as well. Given that it is a series with more than ten books out currently, it reads more like an episode in a TV series than a volume from one longer book. I am not saying that as a good thing, or a bad thing, it is just an observation. Overall this was a very fun, quick read and I will be continuing on with the series. On the back cover it says it is recommended for ages 9-13, but I think it can be enjoyed by all ages, especially if boarding schools and horses is your thing. If you have room on your bedside stand, I would recommend at least checking it out or mentioning it to anyone you know with horse-crazy kids. I feel like a total cliche right now! I am sitting at a cafe table and just finished my drink and gluten free pear gallette. My mocha had a heart on the top and everything! I could get used to this very easily. Anyway, I was just on Mundie Moms, and apparently they are making the Infernal Devices series into manga! Manga has always been something I never really knew about but felt like I should because I have friends who are obsessed with it and I am in circles that many Otakus are in too i.e science fiction buff/ bookworm. This new series might just give me a reason to push my way into the manga crowd! 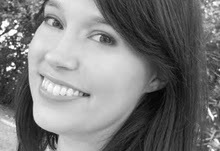 Today I am very excited to say that I scored an interview with Nichole Chase, author of the amazing Dark Betrayal Trilogy! (you can see my 5 star review of Mortal Obligation HERE). Q. When did you know that you wanted to become a writer? A. I think that I have always known that I wanted to be a writer, but I never really admitted it. It wasn't until recently that I really allowed myself to reach for that dream. It seemed like so many people wanted to be an author, to tell stories that other people would enjoy, yet very few of them actually managed to make it. With the changes in publishing, technology, and the mind set of readers, being an indie seemed like the best fit for me. I hated the thought of spending hours slaving over a manuscript that may never see the light of day. Now, that isn't an issue. Depending on how much work you put into your book and the story that you have to tell, the readers get to decide if the book is any good. For me, that was the point where I decided, "I'm doing this. I'm going to finish this book and put it out there for the world to decide." It was scary, but liberating at the same time. It was the first time in my life where I truly felt that I was grabbing the reigns and taking charge. It all depended on me. Q. What was your inspiration for the Dark Betrayal Trilogy? A. I don't think that there is any one thing that inspired the trilogy. It was a combination of many things: An incredibly over active imagination, a love for all things paranormal, the beautiful yet creepy scenery of historic Savannah, and my interest in mythology. Honestly, the entire series started with an image of a girl walking through one of the downtown squares, looking over her shoulder at something following her. That was it, I had to know what was following her and how she was going to take care of it. My imagination began to spin out a series of events. Q. Do you know when we can expect Mortal Defiance to be out? A. Mortal Defiance will be out in early December of this year. I'm currently finishing up the current draft and getting ready to send it out to beta readers before sending it to my amazing editor, Anne of Victory Editing. Q. Do you follow any sort of ‘schedule’ with your writing? A. I wish I could schedule writing time a little better than I do, but to be honest it is almost impossible with a toddler running around the house. I fit it in where I can, usually late at night. My husband also lets me run away to the coffee shop on the weekends so that I can write uninterrupted. That time is sacred to me! I get my most writing done in that manner- away from the house where there is usually something always waiting to be done. A. At this time, my attention is taken up with the Dark Betrayal Trilogy. I have a couple of things waiting in the wings for when I am able to get to them. Two adult series, a short story, and two young adult series. i wonder which one will win the 'what's next lottery'. I may post a little about those projects on my blog when I have some free time, but they are still in the planning stage at this point. Q. What advice would you give to young aspiring writers? 1.Just do it. Seriously. Sit down and write. 2.Treat it like a job and make time for it the same way you would a project that you are getting paid for by an employer. 3.Read everyday. It's the best way to hone your craft. Stephen King (hate him or love him, you can't deny his skill and success) says that you should read for so many hours a day and write for so many hours a day. I completely agree. 4.Invest in a good thesaurus or dictionary program and learn as much as you can about the current technology. It doesn't matter whether you are going the indie route or the traditional route, you should know as much as possible about the industry and the current trends as possible. 5.If there is something you aren't sure about, ask! Critique partners (honest ones) and good beta readers will keep you in line and make sure you don't miss any plot threads and that your characters don't do things that would be out of character. Thanks again to Ms. Chase for doing this interview! A. I don't know if I would want to switch permanently, and there are a lot I could say, but it would be awesome if I could be Isabelle Lightwood for a day. I would kick some serious Demon booty! What was your answer this Friday? When I first read the synopsis for the Unbecoming of Mara Dyer, I thought it looked all right, but wasn't going to add it on GoodReads. When I saw the book trailer though, things totally changed, I totally wanted to read it, which is strange because my experience with book trailers is either that I like them but I want to read the book the same amount as I did before I saw it or they make the book look cheesy. Anyway, I just posted the video for you to see it if you haven't already. Has a book trailer ever turned you on to a book that you were originally not planning on reading? One of my friends on Facebook posted this, and I thought it was hilarious. The stand up comedy routine below is pretty awesome and conveys the same point too, albeit in a slightly cruder way!